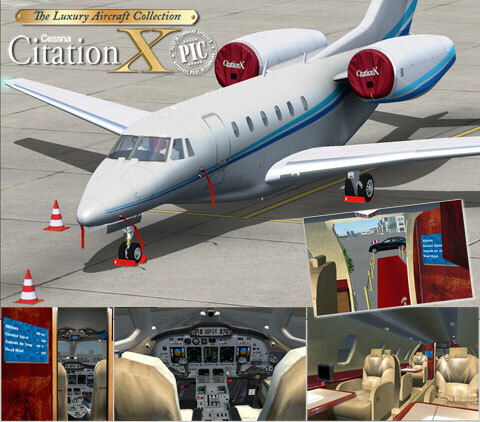 This amazing software brings highly sophisticated 'Jet Set' flavour into your preferred simulator! Combining state of the art technology to an unmatched elegance, Citation X is a powerful business jet you will fall in love with for its wonderful look and aerodynamic shape. Once onboard, whichever your piloting knowledge level is, you will be astonished by its elegantly furnished cabin while comfortably flying at nearly supersonic speed over the oceans. Jump back in the Pilot seat and you will be amazed by all latest aeronautical technologies embedded in the cockpit. Some of these don't even exist in the simulation world yet. 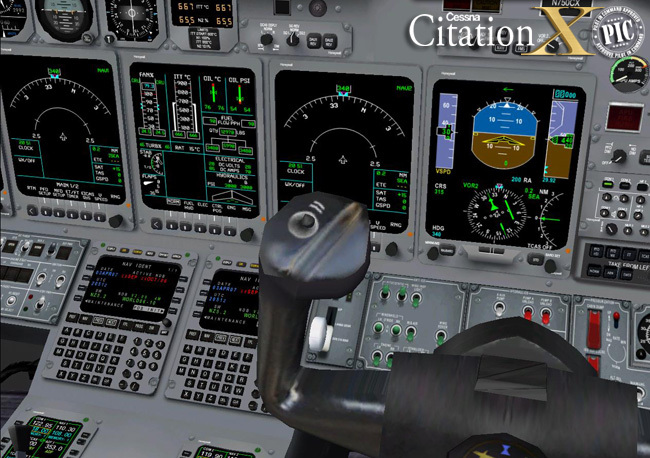 To reflect these high quality standards, the Citation X will proudly bear our Pilot in Command label. 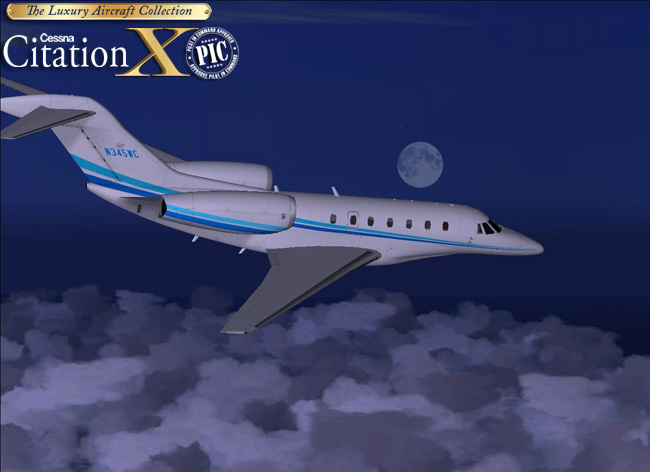 BONUS : With Citation X, pleasure felt while in the air does continue even after landing ! You will enjoy VIP level welcoming in several business airports around the world : London Heathrow (EGLL), Paris le Bourget (LFPB), Frankfurt (EDDF), J.F. Kennedy Airport (KJFK), Santa Monica Los Angeles (KSMO). 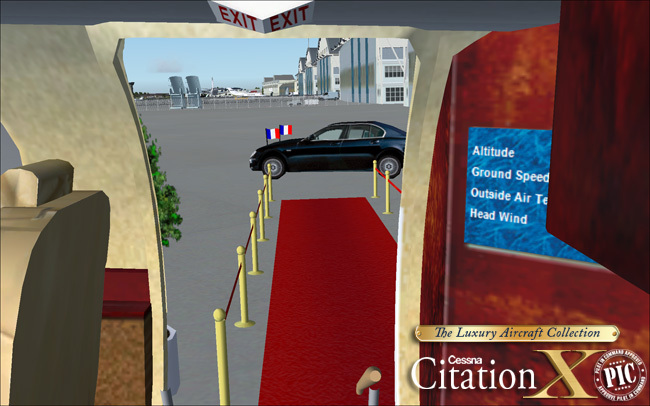 Specific 'VIP' animations allow you to book, while arriving at destination airport, vehicles to correctly welcome your VIP passengers. 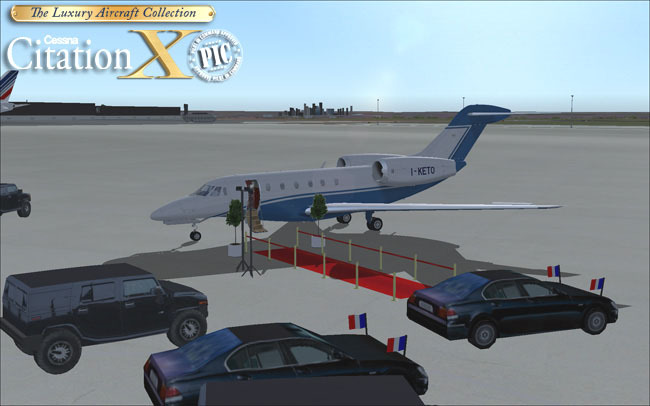 This brand new animation feature can also be used with any other Flight Simulator aircraft you would fly to these locations. 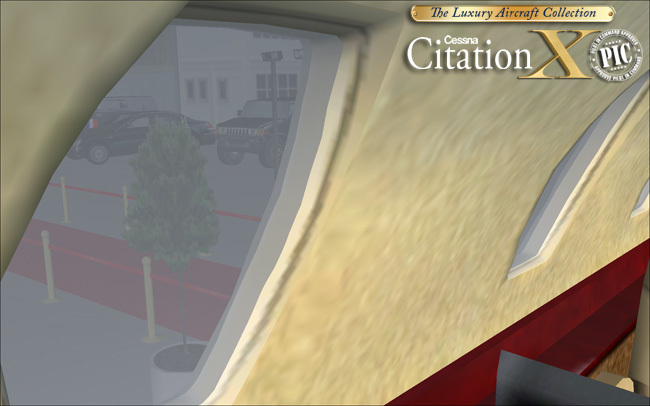 Greatness, elegancy, limos and red-carpet treatment ... add dazzling to your simulator ! Realistic flight dynamics created and tested by active Citation X pilot and based on manufacturer's specifications. 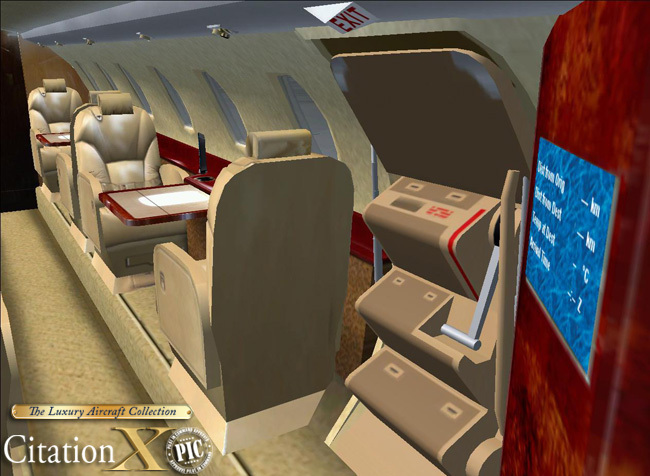 The plane operates extremely close to the real plane's specifications. Exclusive : Comfortably seated, get real time in-flight information on screen : distance to/from destination/departure, local time, Estimated Time of Arrival, just like the real thing ! Full glass cockpit with advanced digital avionics suite. Honeywell Primus 2000 flight director system and autopilot. Interactive Virtual Cockpit with 3D knobs and switches. Dual Flight Management Systems with Honeywell Global Positioning System (GPS). 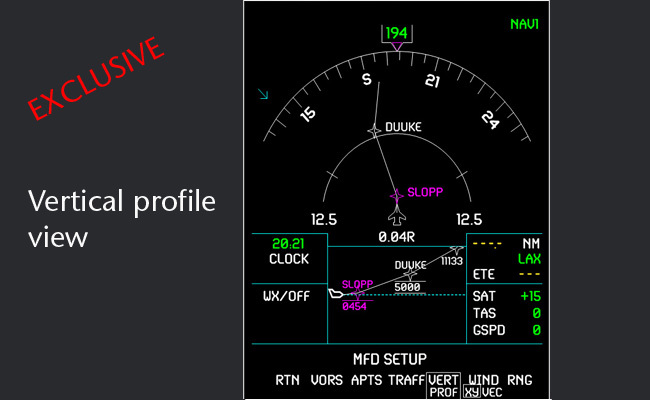 Exclusive : Vertical profile displayed on the MFD showing aircraft flight path from the sideview. 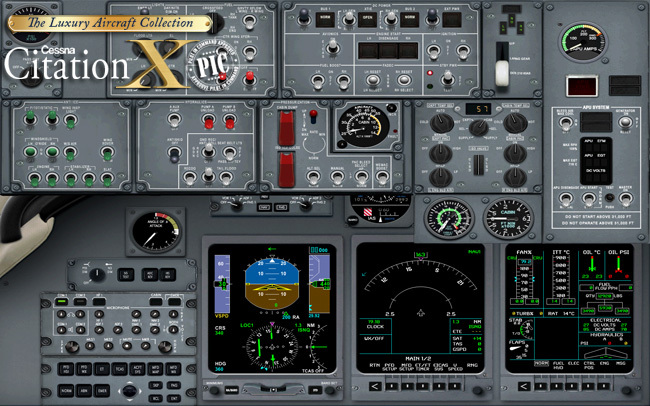 Dynamic virtual cockpit and virtual cabin : almost every switch and knobs can be operated from the Virtual Cockpit. Flyable from the Captain or First Officer's seat (under virtual cockpit mode): the PFD, ND and the RMU created for both pilots so the captain can set his instruments differently from the first officer and vice versa. Ground Proximity Warning System (GPWS). TCAS 2 : Traffic avoidance with audio-visual Traffic Advisory. Very accurate AutoPilot with overspeed and stall recovery systems, just like the real thing ! Supports screen resolutions from 1024x768 to 1600x1200 (!) for a perfect instrument readability. Displays boosted with anti-aliased GDI+ graphics technology to provide a smooth and more realistic instruments movement. Fully simulated APU sequences linked to fuel consumption : follow the correct procedures to avoid dry fuel tanks during flight ! 5 different patterns simulated including HOLD, PROCEDURE TURN, etc SID/STAR with DME arc. Compatible with Go Flight modules - including MCP-PRO. 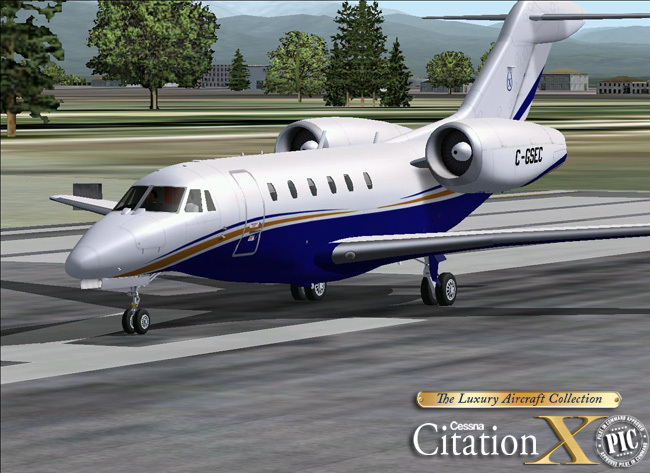 No business jet gets you to your destination faster than the Citation X. With a cruising speed of nearly 600 mph, this midsize jet can connect you from New York to Los Angeles, San Diego to Washington, DC or Seattle to Miami as much as 35 minutes faster than comparable aircraft. 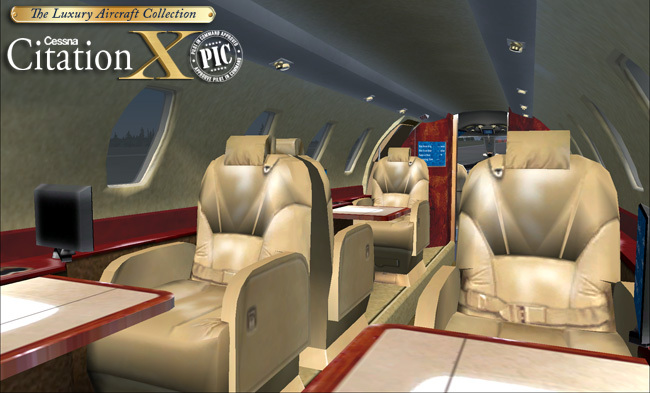 The Citation X is a medium-sized business jet aircraft designed to fly at high subsonic speeds. It is the fastest business jet available, and the fourth fastest civil airplane that has ever flown, after the Concorde and Tupolev Tu-144 and the Convair 990 (and therefore the fastest civilian aircraft flying since their retirement). 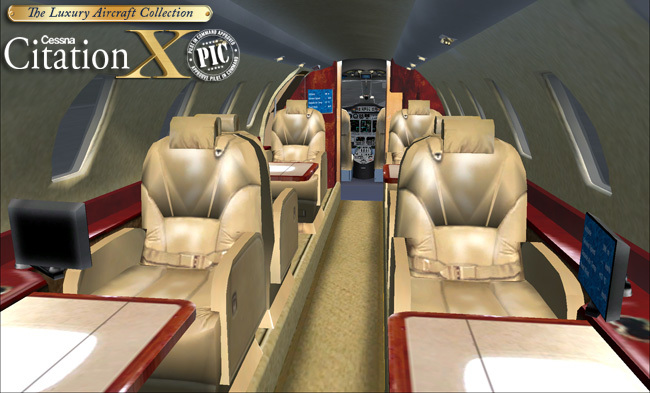 The character X is a Roman numeral and is officially pronounced "ten", continuing the numbering of previous Citation jets using numerals, such as the Citation II. The Citation X will climb to 43,000 feet in just 30 minutes at its maximum takeoff weight, lifting you swiftly to transcontinental and transatlantic crossing altitudes. And the Citation X is certified to fly as high as 51,000 feet (FL510) - where fuel efficiency is optimized and airline traffic is nonexistent. 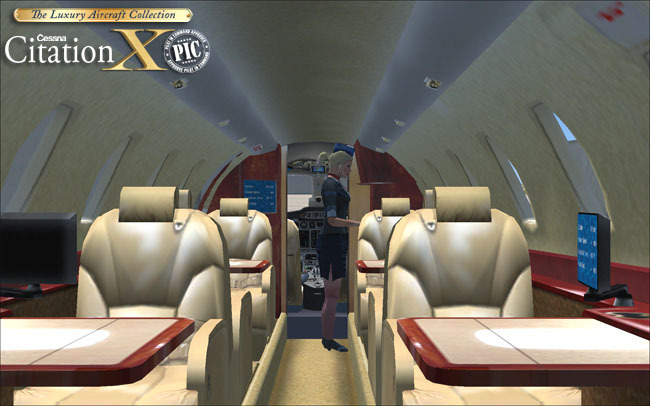 Microsoft Flight Simulator X (Windows XP/Vista/7) / Flight Simulator 2004 (Windows XP) - Windows XP/Vista 32bits - Windows 7 32/64 bits - Pentium IV - 1.4 GHz - 256MB RAM - 32Mb Graphics - 380 Mb disk space.